The Cosmoid is a unique, tactile controller. Robust, easy to activate and dynamic. The Cosmoid works with Cosmo activities on the iPad. It connects wirelessly via BlueTooth and has a long-lasting rechargeable battery. Improvisation lets students get creative and play music on the cosmoids. 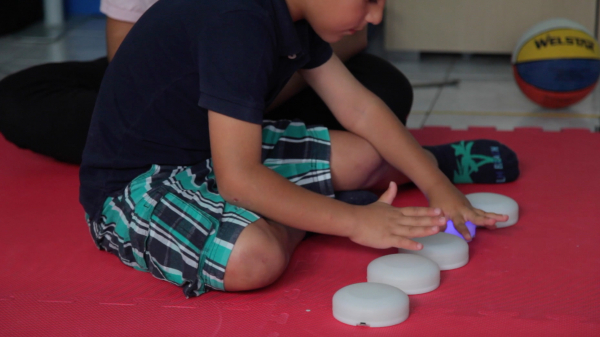 Each cosmoid represents a different note and students can play along to their favourite songs by simply pressing the cosmoids. Students can also choose between xylophone, guitar, and pan pipe sounds. Showdown is a fast-paced competitive activity that can be played by 2-6 players. One team has to find the green buttons and the other team has to find the orange buttons. See who can find the most of their colour before the time runs out. Orchestration lets your students become conductors. Students can build their own songs by adding drums, guitars, pianos, and many other instruments. Students can play solo or as part of a group. 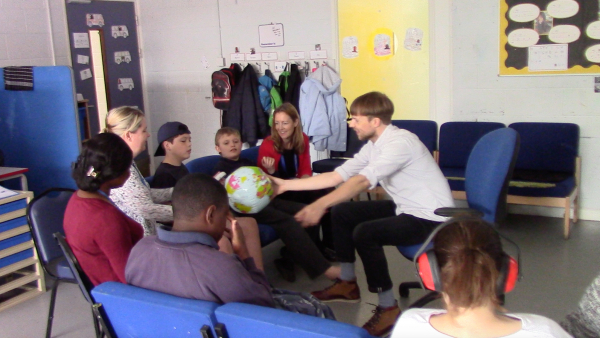 Storytelling lets students perform sensory stories by touching the cosmoids. 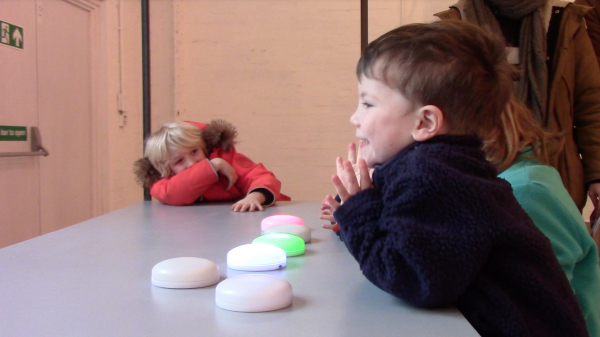 Each cosmoid triggers part of a pre-selected sensory story and only lights up when it’s your turn to add to the story. Press it when it’s your turn and let the story unfold. It’s a great activity for non-verbal students and for sensory learners. My Voice lets your students record their own voices, or any sound they like, with the touch of a button. They can then transform the sounds they have recorded by touching the cosmoids. It’s a great activity for encouraging students to use their voices and imaginations! 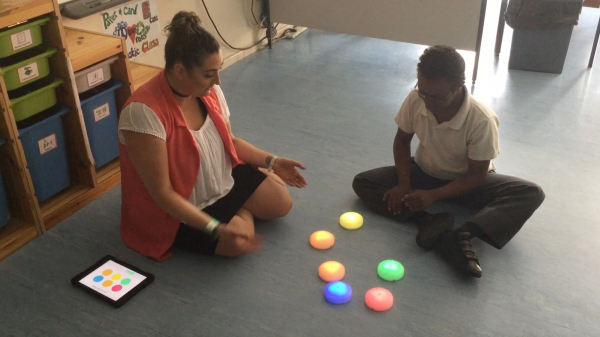 Turn Taking lets students work together to play their favourite songs and is great for developing turn-taking, waiting, and collaboration skills. Choose a song and give a cosmoid to each of your students. Each cosmoid triggers part of the song and lights up to show whose turn it is. The longer you press, the longer the song plays for. Simply download the free Cosmo app from the app store onto your iPad and you’re ready to go. Memory lets students develop their problem solving and sequencing skills. Watch the light sequence on the cosmoids, and if you can repeat it correctly you get an exciting audio-visual reward. Start on the easy level and see how many sequences you can get right. 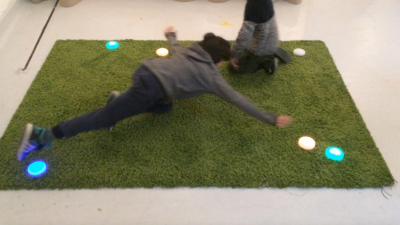 Exercise is a fun, multi-sensory activity designed to get your students moving. 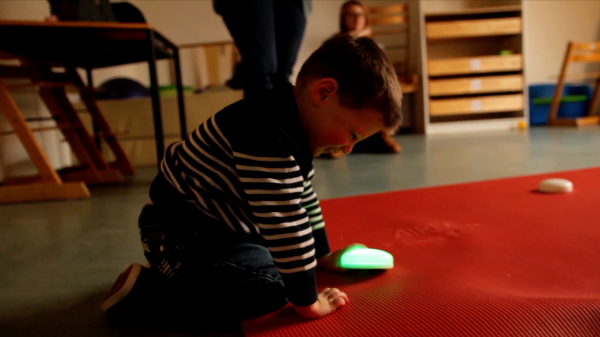 It’s designed to help develop coordination of movement, teamwork, orientation and attention. Place the cosmoids around a space and start the game. All The Same is an exciting sequencing and problem-solving activity. Each time you press a cosmoid it changes colour, and you have to work as a team to make all of the cosmoids the same colour. Start on the Easy level and work your way up to the Hard level. Colour Matching is a great activity for helping students develop their colour vocabulary and shared attention skills. The aim is to find the cosmoids that light up with the same colour as your partner, and then press them together. 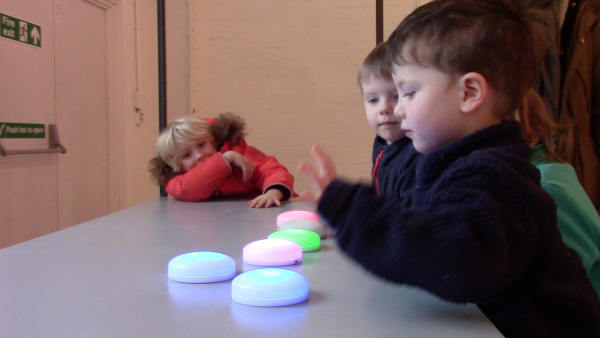 Players get an audio-visual reward when they match the colours correctly. Fireworks is a fun and interactive ‘Cause & Effect’ activity that uses one cosmoid. When a student presses the cosmoid they are rewarded with exciting fireworks on the screen. It’s a great activity for developing intentional communication skills. Exploration is a ‘Cause & Effect’ activity that uses one cosmoid. When a student touches the cosmoid that is lit up, the song that has been selected will play until they stop touching the cosmoid. If you enable the effects you can change the texture of the sound by pressing harder. Flappy Cosmonaut is a fun individual activity that lets students develop their fine and gross motor skills by making the cosmonaut fly across the screen. The harder they press, the higher he flies. See if you can get a high score!